Portfolio, program and project (P3) managers face a demanding transition from the traditional iron triangle performance measures of time, cost and quality to an increasingly urgent imperative to prove the business benefits used to justify priority and budget allocation. The challenge in doing so requires a shift from the clearly quantifiable ‘project’ metrics to business outcomes and raises the question of how to articulate, track and reconfirm those intended benefits. To execute this requirement successfully benefits need to be clearly identified at the early stages in the P3 journey and reinforced across the duration of a P3 lifecycle by business managers and sponsors. The realisation of an intended benefit is much more than confirming that a cost/benefit study remains valid. Not all endeavours are financially based, some being driven by ideology, political imperatives, long-term community benefits or a CEO who ‘thinks it’s a good idea and just wants it’. But in each case there is a real or perceived benefit that must be articulated if the correct deliverables are to ensue. Few architectural wonders in this world would have proceeded if their justification was based on a cost/benefit analysis using purely monetary measures. For example, how does one measure the value of ‘national prestige’ of, for example, the Petronas Towers in Kuala Lumpur? Similarly, was the Sydney Opera House as (now) one of the world’s most iconic building, just a folly? Or are the enduring tourism benefits now recognised? Successive State governments tore themselves, and the architect, to pieces as the price sky-rocketed from $7 million to $102 million (about $1 billion in today’s dollars)—10 years late and slightly over budget! Those examples lead to the question of tolerances and consideration as to when a decision is taken that the P3 endeavour exceeds the parameters of its intent and the benefit articulated. Thus in establishing whatever metrics are appropriate, the boundaries of distortions which may arise must be articulated. The action that’s appropriate when the reason for the activity is no longer valid becomes an executive decision. 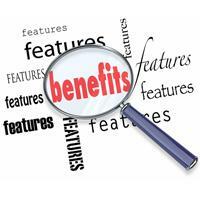 Those issues are a major consideration in the establishment of benefits realisation protocols in the P3 environment. It requires the development of methodologies designed to interface with the P3 processes and enable data to be manipulated in such a way as to provide executive, business and project managers with the real time information necessary for good decision making, including those which may lead to the abandonment of some P3 objective(s).